Mr. Rifaat Ahmed Abdel Karim, Secretary-General of the IFSB; Mr. Durmus Yilmaz, Governor of the CBRT and Mr. Vedat Akgiray, Chairman of the Capital Markets Board of Turkey were prominent figures attending the meeting. Mr. Simon Archer, Visiting Professor at the Reading University (UK); Mr. Brandon Devies, Gatehouse Bank Board Director; Mr. Daud Vicary Abdullah, Deloitte Global Islamic Finance Leader, and Mr. Khalid Howladar, Moody’s Senior Credit Risk Officer, favoured the event with their invaluable contributions to the understanding of the challenges ahead of the liquidity in the Islamic finance industry. Having been recorded as the third IFSB initiative addressing liquidity management issues this year, the seminar focused on existing and emerging issues in liquidity management in the Islamic financial services industry. The building blocks and infrastructure for liquidity management, along with its regulatory setting, were also examined – with particular emphasis on related case studies from various jurisdictions. 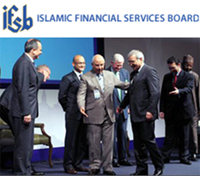 The meeting further offered new insights into and prospects for a robust Islamic financial services industry. Lack of standardization, need for innovative Islamic financial engineering and the role of central banks have been at the heart of the discussions. Turkey, Malaysia and Qatar were called on to lead the way in tackling the foregoing obstacles.